Autumn is prime time for country escapes. As you travel back roads, you’ll pass colorful leaves turning mountain slopes golden and scarlet hues. You can taste crisp cider from heritage barns and pick buckets of apples for baking pies. Up pop the pumpkin patches and corn mazes, as well as the aroma of ripening pears. In wine country, the grape clusters hang heavy from the vines — plump and deeply purple — and the bustle of harvest fills the air and sparks the imagination. Far from the city lights, you can experience the wonder of brisk, star-studded nights. The days might be getting shorter, but there’s so much to captivate your senses. 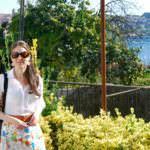 Below is a mere handful of cool places to stay for a bountiful getaway. Catch a luminous vineyard sunrise, hike through wine country, or simply slumber surrounded by starlit grapevines — there’s a diversity of wine retreats to experiences across the state. 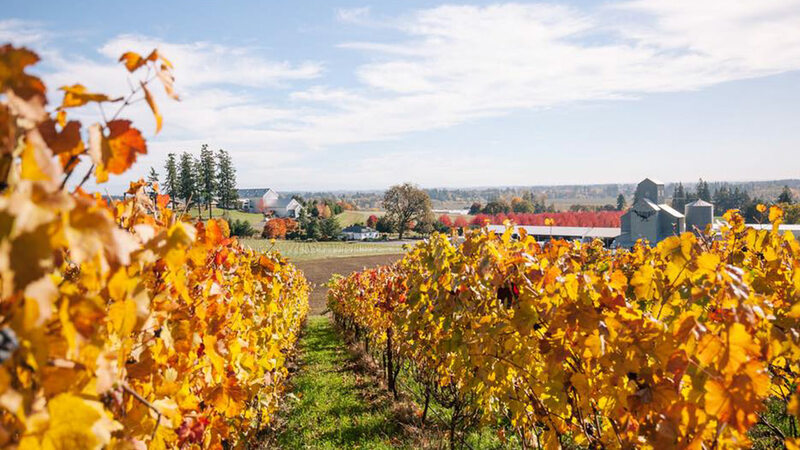 For a pinot pilgrimage, head to the Willamette Valley, home to some of Oregon’s oldest vineyards. At Stoller Family Estate in Dayton, a turkey farm turned eco-pioneer in the wine world, you’ll find the largest contiguous vineyard in the area and the first LEED Gold Certified Winery in the world. Lodging ranges from country cottages to historic farmhouses, all located within walking distance to the tasting room. Closer to the town of McMinnville, you can soak up vineyard views and the beauty of the Oregon Coast Range from the hilltop veranda at Youngberg Hill. At this family-run winery and inn, cozy comforts include in-room fireplaces and a two-course gourmet breakfast. You can pair your wine stay with pristine wilderness when you road trip to Southern Oregon. In the Umpqua Valley, near the town of Roseburg, Delfino Vineyards offers a serene escape with a one-bedroom cottage (plus hot tub and lap pool) set on a 160-acre farm and vineyard with woodland hiking trails and views of the Callahan Ridge mountains. Cruise farther south to the Rogue Valley, a region famous for the Wild and Scenic Rogue River and hillside vineyards planted with grape varietals such as syrah, merlot and tempranillo. Near the town of Ashland — home of the Oregon Shakespeare Festival — Weisinger Family Winery has a 1900s-era farmhouse turned modern bungalow with a hot tub and vineyard views. At Foris, Oregon’s southernmost winery, you can stay at the historic Maple Ranch Johnson House, a five-bedroom home surrounded by vineyards and forestland with views of the nearby Klamath Range. Set on 112 acres in the heart of Oregon’s rugged Siskiyou Mountains, this is one of the wildest and most biologically diverse areas in the West. Make friends with a peacock and pet a donkey, herd sheep and feed baby lambs, harvest vegetables and hike with pack goats. The adventures are endless when you embrace one of the many farm stays around the state. 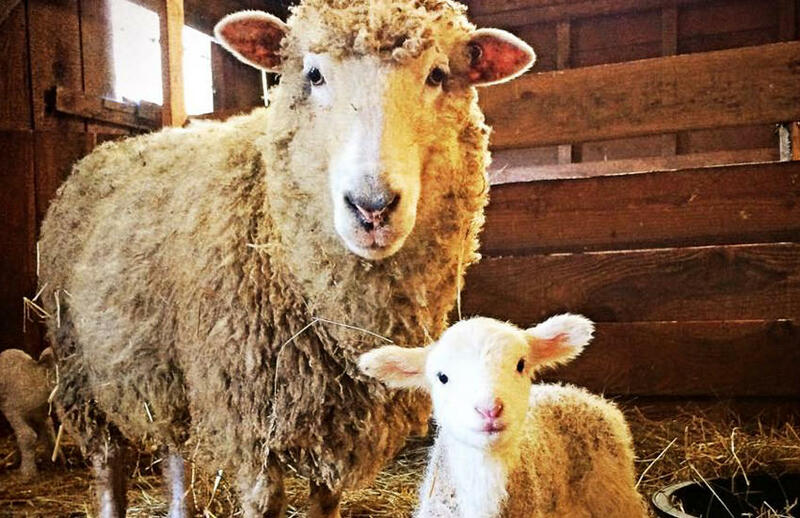 At Leaping Lamb Farm Stay, located between Corvallis and the Coast Range, you can stay in a two-bedroom farm cottage that surveys an orchard with wily rams, and the chicken yard where you can collect eggs each morning. Or opt for the sprawling 1895 four-bedroom farmhouse surrounded by ancient apple trees and a short walk from the picturesque barn where Paco, a miniature Sicilian donkey, resides with a flock of salt-and-pepper sheep and baby lambs. 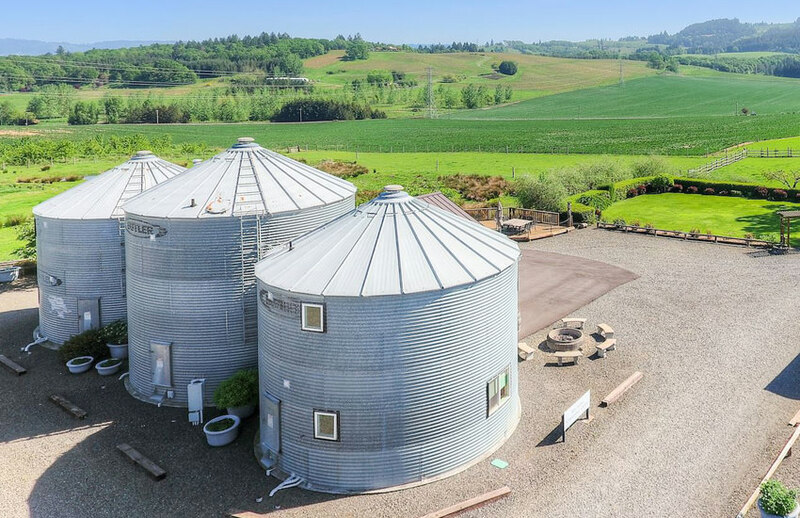 Combine a visit to wine country with your farm stay in Carlton, where you can sleep in beautifully designed (and renovated) grain silos at Abbey Road Farm, an 82-acre farm plus bed-and-breakfast in the heart of the Willamette Valley. At the nearby fifth-generation, family-run Red Ridge Farms in Dayton, overnight lodging includes a garden suite with a bird’s-eye balcony view of vineyards, an olive grove and a lavender field. Or you can opt for an idyllic two-bedroom cottage. In 2004 the Durant family planted olive trees and established one of the first orchards of its kind in Oregon. They operate the state’s only commercial olive mill. 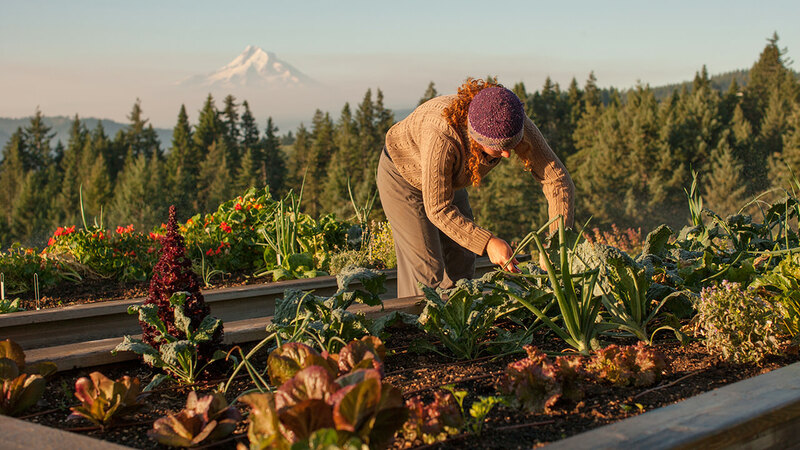 Head off the grid to Willow-Witt Ranch in Southern Oregon’s high country near the town of Ashland, where owners Suzanne Willow and Lanita Witt restored a working forest and wetland, and established a small organic farm on 445 acres. 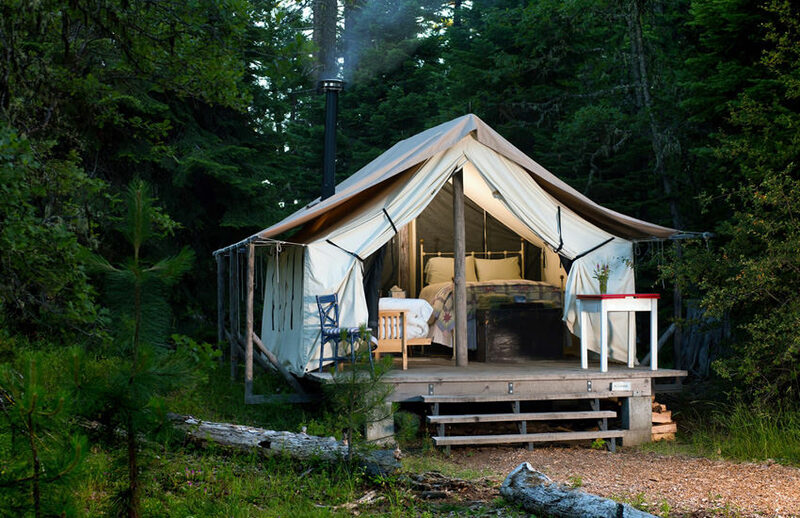 Lodging options include a charming farmhouse studio and a three-bedroom, passive solar Meadow House, or glamping in wall tents with access to outdoor showers. The entire ranch is powered by solar panels and a micro-hydro system. In addition to farm tours, you can schedule a day hike led by the friendly pack goats, which includes lunch and countless alpine vistas. Traveling with Fido? Take the country roads to Eastern Oregon’s Barking Mad Farm in Enterprise, a dog-friendly retreat on 42 acres with lodging in a turn-of-the-century farmhouse. The bed-and-breakfast has a private 8-acre dog park, where guests can play fetch till the cows come home. 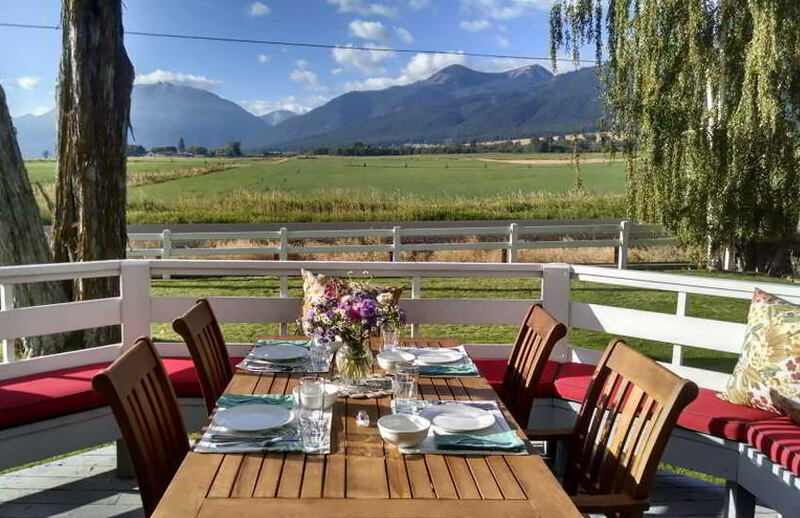 You’ll enjoy the majestic views of the Wallowa Mountains (often called the Swiss Alps of Oregon) and proximity to the notable art community of Joseph. The tastiest highlight is the farm-to-table breakfast fare, which is prepared each morning with seasonal ingredients sourced from local producers. From fragrant spring blossoms to ripe summer fruit and colorful autumn harvest, there’s a sense of magic when traveling Oregon’s many scenic fruit loops. One of the most renowned trails, the Hood River County Fruit Loop, is a short trip from Portland by way of the Columbia River Gorge. The 35-mile meander takes you through picturesque fruit orchards, small towns and country lanes of the Hood River Valley, the state’s largest fruit-growing region. To get a sense of place, stay at the third-generation, family-run Draper Girls Country Farm in Parkdale. 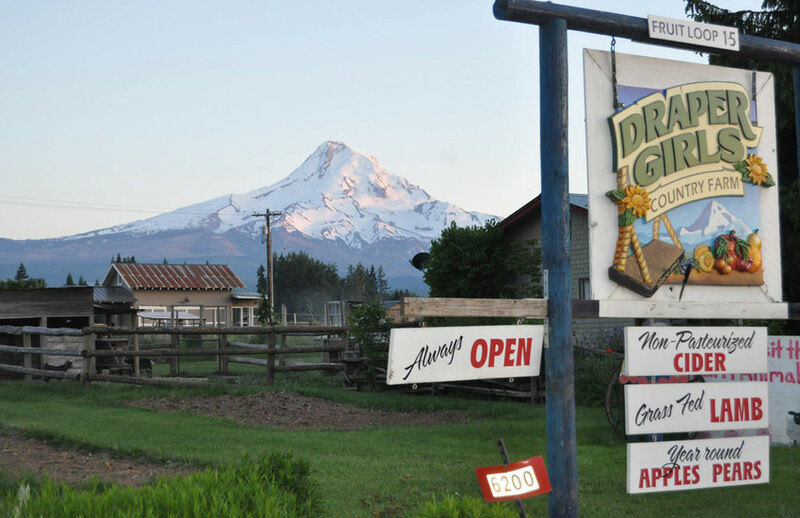 The 40-acre, U-pick fruit farm sits just south of Hood River at the foot of snowcapped Mt. Hood with a four-bedroom country cottage and wood-burning fireplace. Bonus: You can fill a growler at the farm with hard cider made from estate apples. For a bed-and-breakfast experience, the nearby Sakura Ridge has a luxurious five-room, alpine-style lodge decorated with Pendleton blankets and artifacts from around the world. On this land surrounded by organic pear and apple trees, the lodge owners also tend to sheep, lambs and a brood of chatty chickens. Take a spin on Eastern Oregon’s Whisky & Rocks Farm Loop, where you can visit Umapine Creamery and Blue Mountain Cider Company in Milton-Freewater. Appetites satisfied, enjoy the two-hour drive south to the town of Bates at Boulder Creek Ranch, where you can settle into a country cabin or opt for sleeping in a one-of-a-kind covered wagon. 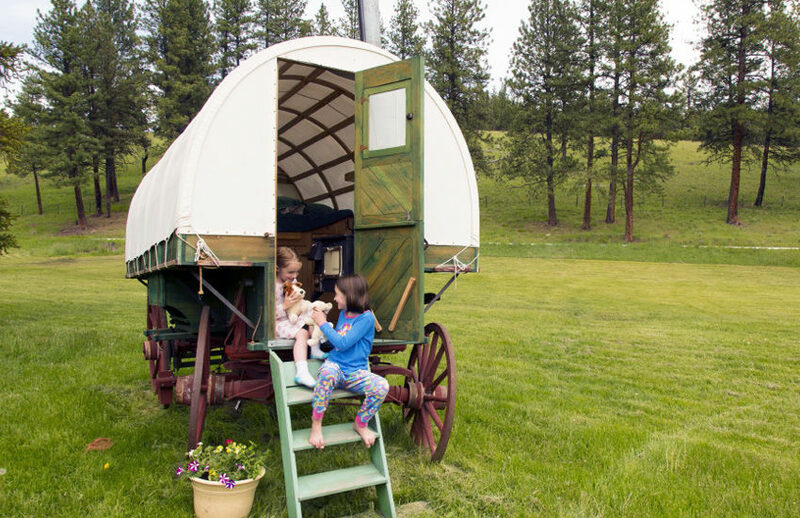 Built on a historic frame, the former sheep wagon was reconstructed from authentic plans provided by the Oregon Historical Society. Once common across the West, the wagons were used by Basque sheepherders who migrated to the region. Cowboy breakfasts and big-sky trail rides, sagebrush meadows and starlit cookouts —the spirit of Oregon’s frontier thrives in small ranching towns across the state. 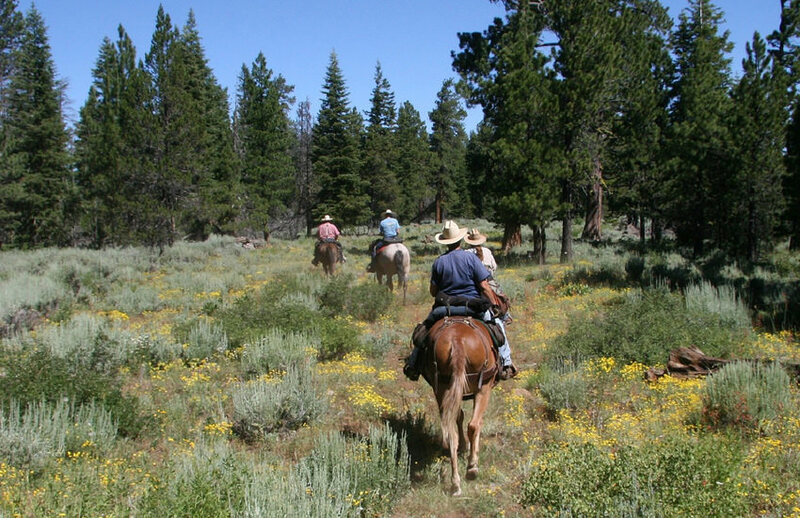 Luckily, you can experience one of the West’s most iconic adventures: life on a working ranch with cowhands and cattle drives in cool pockets of Central and Eastern Oregon. At Long Hollow Ranch, near the town of Sisters in Central Oregon, you can stay in the Homestead House, which hails back to the 1890s. Or take a room at the historic Ranch House, which runs like a bed-and-breakfast. At this multigeneration working cattle ranch, you can saddle up for a cattle drive or take a “ranch vacation” and fish in one of the ponds, then kick back on the veranda and enjoy the home on the range. Near the town of Fossil, the seventh-generation Wilson Ranches Retreat has a 9,000-acre cattle and hay ranch in the beautiful Butte Creek Valley. Guests stay in a historic 1910 Sears Roebuck Ranch House with six guest rooms and a sprawling lawn with century-old locust and fruit trees. You can horseback ride through juniper- and sage-covered high-desert hills and venture out for birding and hiking adventures. 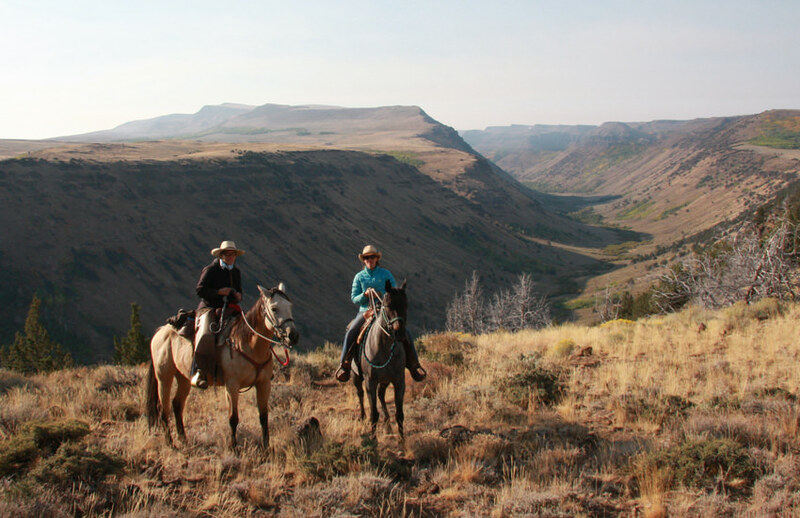 Pack your worn-in boots and wide-brim hat for an authentic cowboy experience at the sixth-generation Steens Mountain Guest Ranch in remote Southeastern Oregon. A family-operated working guest ranch, once you step foot on the dusty soils of Diamond Valley, you become part of the cowboy crew. You share the home “headquarters” with real cowboys, staying in one of three upstairs rooms in a hand-built pine house. In the shared main area, you’ll find a woodstove, piano and guitar. 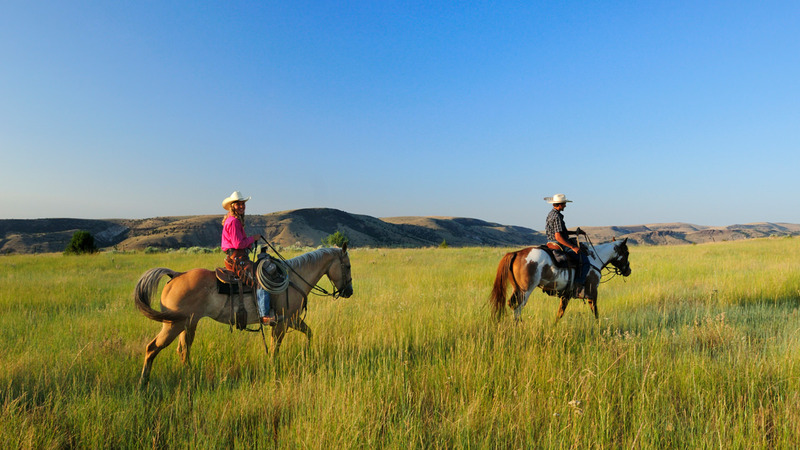 As part of the crew, your days include cattle drives and cowhand detail, cow camping, and learning how to saddle, ride and Que (communicate with) your horse. Bonus: You can sign up for a guided ride to see Oregon’s rare and wild Kiger mustangs, found on Steens Mountain. If You Go: Many of the lodging properties listed above welcome guests year-round, though call ahead to make sure, since each is subject to its own operating schedule. Reservations are almost always required, so it’s essential to plan in advance. These are, of course, only a handful of the agritourism experiences in Oregon; you can search for even more here. 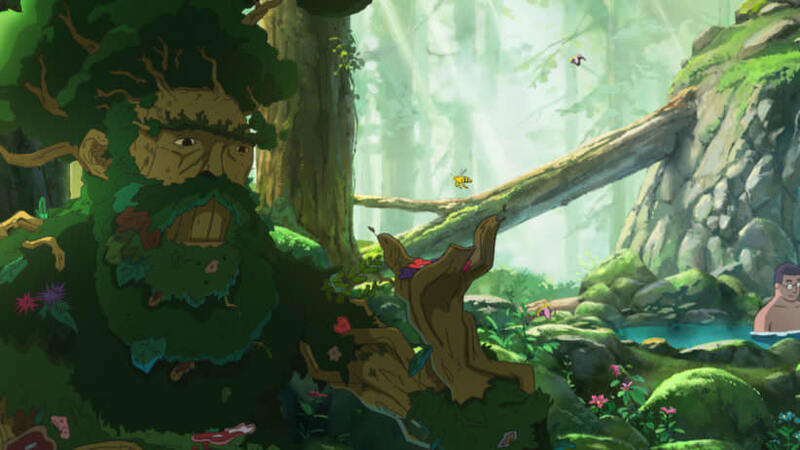 The weather can be unpredictable in Oregon, especially in late fall and winter. If you’re heading out in the cooler months, visit TripCheck.com to make sure your route is clear. When venturing to remote corners of the state, remember to fill up your tank, carry extra fuel and bring along a paper map, as services can be limited.